The Canberra Raiders are investigating allegations fullback Jack Wighton has been involved in a nightclub incident. 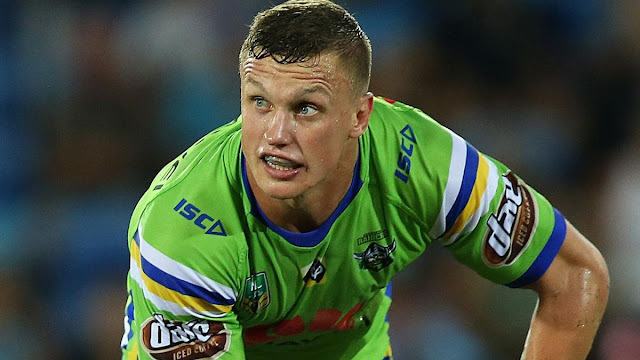 In a report published by News Corp, Wighton is alleged to have been involved in an incident in Canberra before the start of the season and the Raiders have released a statement. "The Canberra Raiders are aware of an incident involving Jack Wighton and have been cooperating with ACT Policing on their investigation. An NRL spokesman said ACT Policing had been looking into the matter in recent weeks but the league and the Raiders were waiting to see the outcome of that investigation before deciding whether further action was needed. NRL.com understands that Wighton will not be stood down by the club, while the investigation is ongoing, and will be in the No.1 jersey against the Canterbury-Bankstown Bulldogs in round five action at GIO Stadium on Thursday. Wighton, who turned 25 in February, has started at fullback in all four of Canberra's matches this season. He has made 121 NRL appearances for the Raiders since he made his debut in 2012. The Raiders have had a poor start to their Telstra Premiership campaign, losing all four of their clashes, the first three were narrow defeats leading into last Saturday night's 32-16 drubbing at the hands of Manly at Lottoland.